According to this BBC news article, the South-West railway franchise has only attracted two bidders. I have little to grumble about my local service (apart from the price), South West Trains (run by Stagecoach). Yes sometimes the trains are delayed, but they've recently spent a lot of money upgrading many stations and they've added more carriages to my commute. But, the lack of bidders is worrying. If train companies are unwilling to bid for franchises, the small amount of competition we have is becomes meaningless and the taxpayer will foot the bill. The Competition and Markets Authority (CMA) is reviewing competition on the railways and has proposed four solutions. The most simple is increasing the amount of Open Access Operators – companies that compete with the franchise holder. On the East Coast Mainline, they have successfully driven the price of ticket's The most radical proposal is completely scrapping the franchise system and moving to licensing operators instead. The CMA's final recommendation is due in March. With the continued failings in railways (and the massive cost to the taxpayer), I think the Lib Dems should support the licensing option. Licensing operators would increase competition, reduce cost to the taxpayer, drive down ticket prices and improve service – nationalisation will not without a generous subsidy. 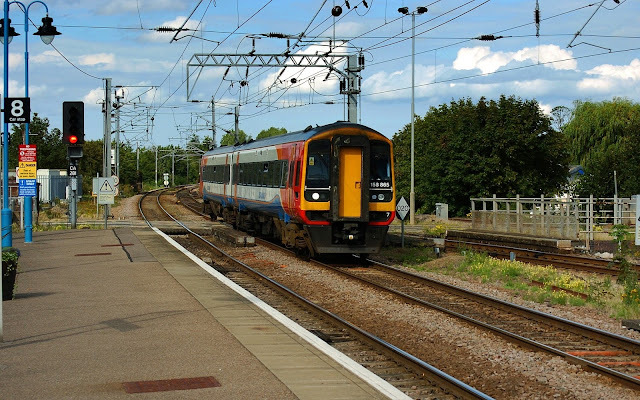 The free-market can work on the railways and the Lib Dems need to embrace it.